Richard Driver was born at Richmond, NSW, in 1803, son of publican John Driver (d. 1810) and his wife Elizabeth. On 17 June 1823 he married Elizabeth (d.1864), daughter of Edward and Elizabeth Powell at Richmond, NSW, and had five sons and four daughters. He died on 12 May 1868. He was buried at Devonshire Street Cemetery and was transferred to the old Church of England Cemetery at Rookwood. John Driver had one of the first NSW publicans’ licenses issued by Governor Macquarie in 1810. From June 1830, his son Richard Driver was the publican of the Three Tuns Tavern which had three successive locations: the corner of Hunter Street, the corner of King and Phillip streets, and the corner of Elizabeth and King streets. His son Richard Driver Junior (1829-80), known as Dicky Driver, was a life long teetotaller and sportsman who became a solicitor, law reformer, MLA, and, in 1859, legal adviser to the Corporation of Sydney. In 1842, Richard Driver senior was Steward of the Anniversary Dinner at the Royal Hotel. He was a member of the Committee of the Mutual Protection Association and the Australian Cricket Club and chairman of the Licensed Victuallers Association. He was the auditor of the Australian Floral and Horticultural Society and, in 1845, Judge of the Floral and Horticultural Exhibition at the George Street market. 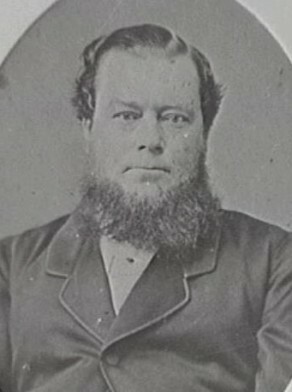 Richard Driver was a Councillor for Bourke Ward from 7 October 1843 to 31 December 1853 when the Council was replaced by a three member Commission. Bede Nairn, ‘Driver, Richard (1829–1880)’, Australian Dictionary of Biography, National Centre of Biography, Australian National University, http://adb.anu.edu.au/biography/driver-richard-3442/text5247, accessed 18 January 2013.